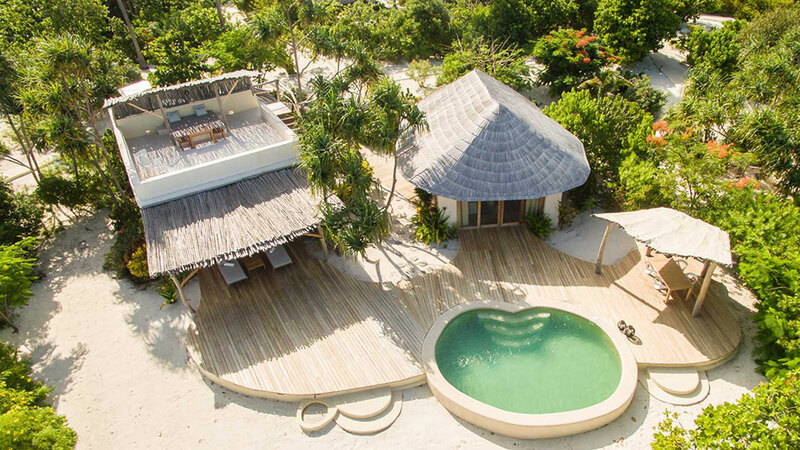 Consisting of 11 large villas in almost 10 acres of landscaped ocean-front, White Sands aims to ensure a private getaway in a natural tropical setting, with the unobtrusive architecture designed to work in tandem with the island’s native flora and fauna. The light hues used in the villas and public areas such as the roof-top champagne bar and Doors to Zanzibar restaurant, where guests can dine on local artisan produce and fruit grown organically within the resort, only add to the ambiance of a tropical hideaway. 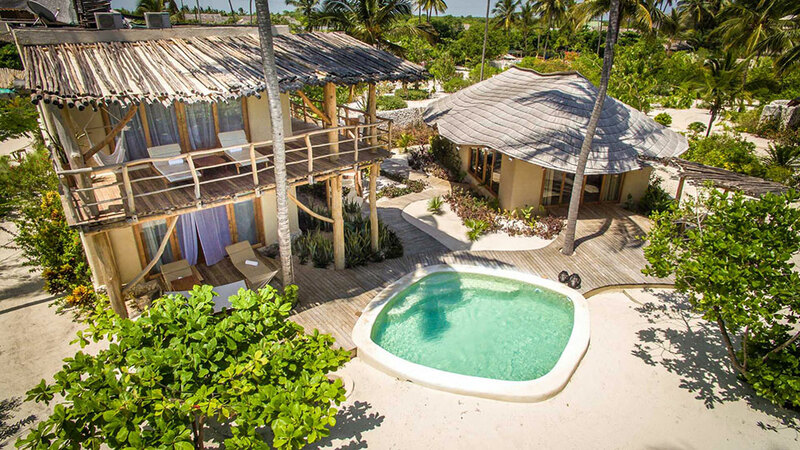 The White Sands resort is situated on the pristine white sands of Paje Beach on the east coast of Zanzibar island. The beach slopes gently into shallow water, protected from the full force of the Indian Ocean by an offshore reef, and is also considered one of the world’s top spots for kitesurfers old and new. The spacious 500 sqm villas are centrally-positioned within secluded garden plots totaling 1500 sqm. When not used as a whole, the five-bedroom presidential villa can be divided into en suite deluxe rooms with shared lounge and dining space, while the resort’s four-bedroom villa contains the hotel-like Cinnamon Rooms accommodation for those on a narrower budget. 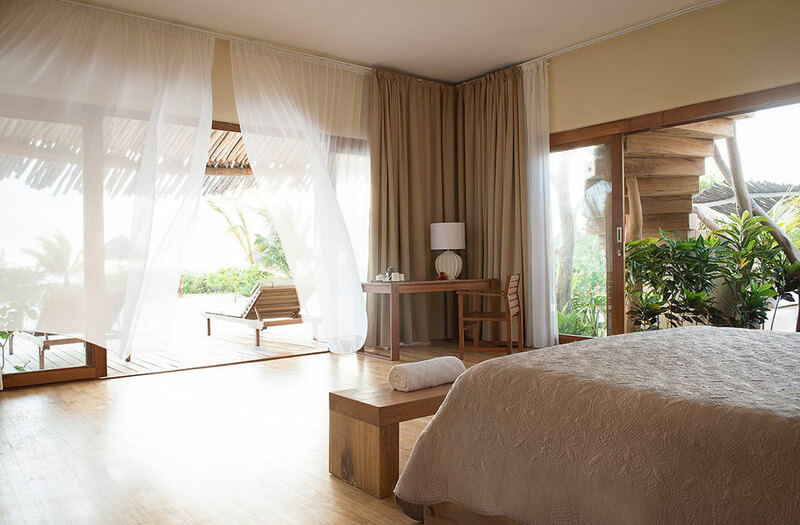 Each villa consists of two individual units, an en-suite bedroom with rain shower and outdoor bathtub, and the high-ceilinged lounge and dining space, connected together by further planting complete with small pool and terrace. White Sands offers three different bars. More than just a place to enjoy a quiet drink, the lounge provides a comfortable space in which to relax and socialise, while the large swimming pool is also a suitable place to relax. The resort boasts two restaurants, Doors to Zanzibar, which blends traditional island flavors with international cuisine, and the lunch-only Beach BBQ restaurant. A crossroads between African, Middle Eastern, and European cultures, the Zanzibari archipelago is both naturally stunning and historically rich. The unique culture that developed over centuries permeates all aspects of island life, from its flavorsome cuisine and traditional dress to the diverse architecture of the streets of the capital, Stone Town, roughly an hour away. Stays at White Sands includes free group wellness activities, as varied as aquagym in the pool and core workout sessions. 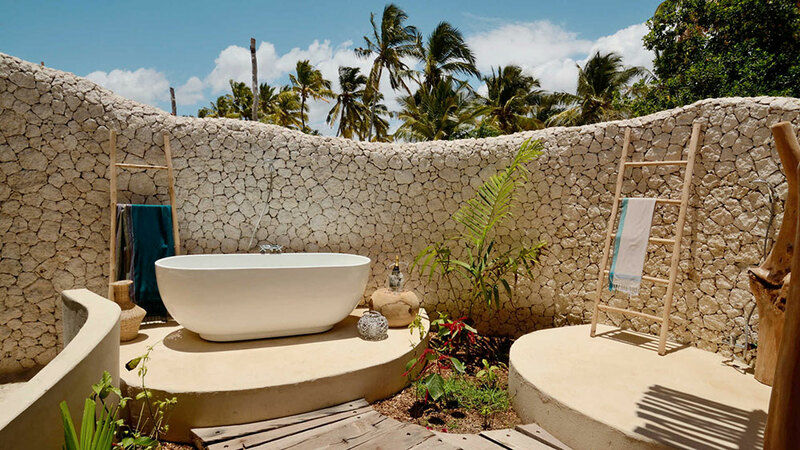 Available spa treatments make use of the steam room and sauna, with massages performed using community-grown products such as coconut oil and spices. The resort includes its own kitesurfing club to take advantage of this world-renowned location, while snorkeling, fishing, and dhow excursions are all easily organized. Want to see the White Sands Zanzibar as part of a trip? Enquire today to let us help build your holiday. Want to Keep Exploring Tanzania?